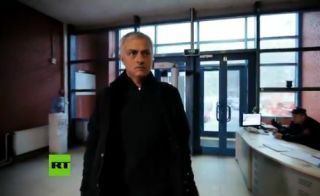 Former Manchester United manager Jose Mourinho has announced he is trying a new challenge by hosting his own show on Russia Today. The Portuguese tactician has been out of work since leaving Old Trafford in December – a spell that looks to have potentially tarnished his reputation as an elite-level coach a great deal. It seems Mourinho will now turn away from management, at least temporarily, to focus on a media career, and it will certainly make intriguing viewing. The 56-year-old has always been good fun to watch on the sidelines and in his press conferences, so he’s sure to be good value after moving to the other side, so to speak.